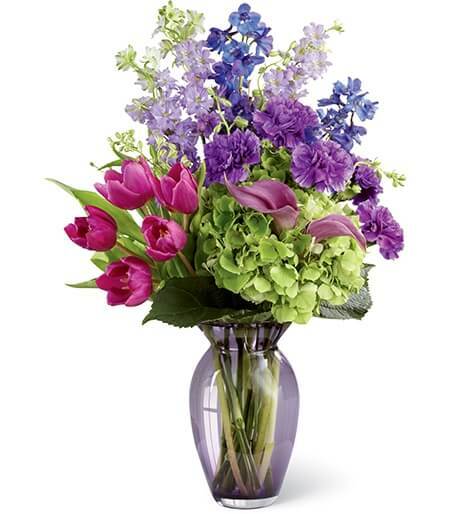 When it comes to sending funeral flowers for women, many people wonder what arrangements are most appropriate. 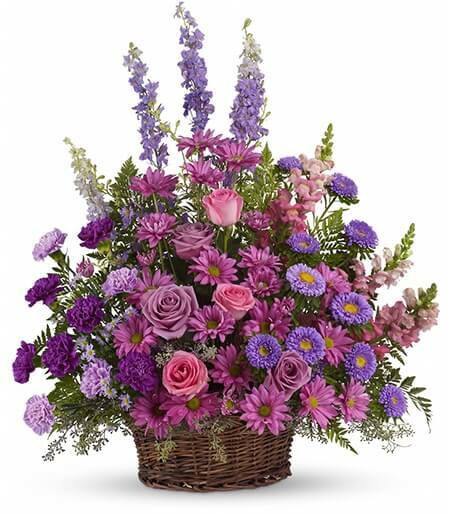 The short answer is that all flower types and colors are appropriate as funeral flowers for women. 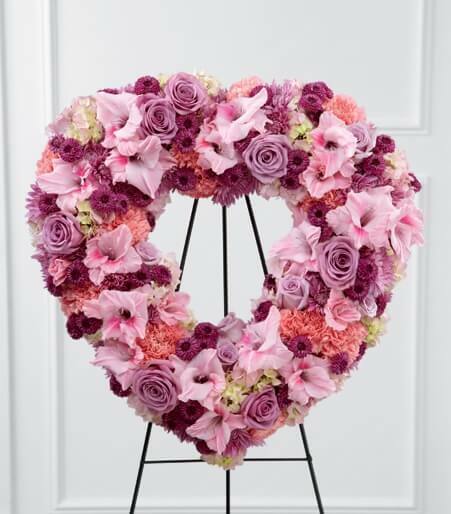 However, most people wish to take funeral flowers to a level beyond just what is appropriate to what is most meaningful for them. 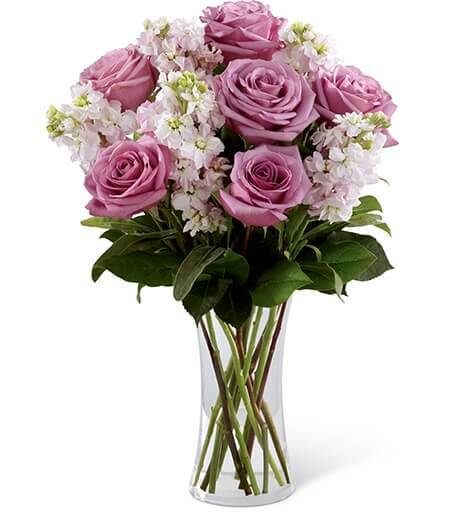 A little guidance can help you find funeral flowers for women that are both appropriate and meaningful. 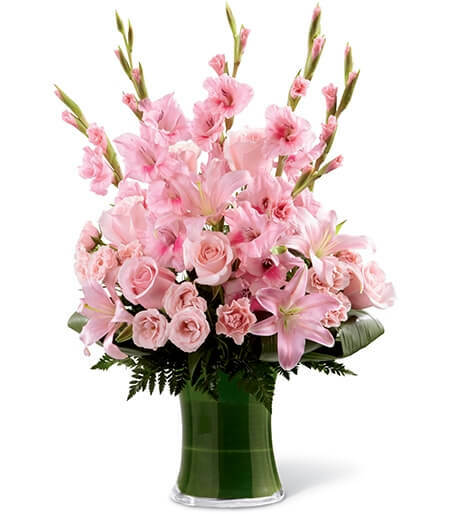 Traditional funeral flowers for women generally come in pastel shades and feminine colors like pinks, lavenders, and yellows. 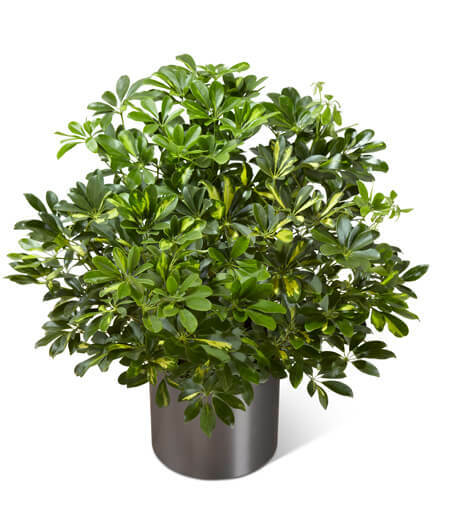 They also tend to be more stylized or formal in design and often include traditional flower types like carnations, chrysanthemums, and roses. 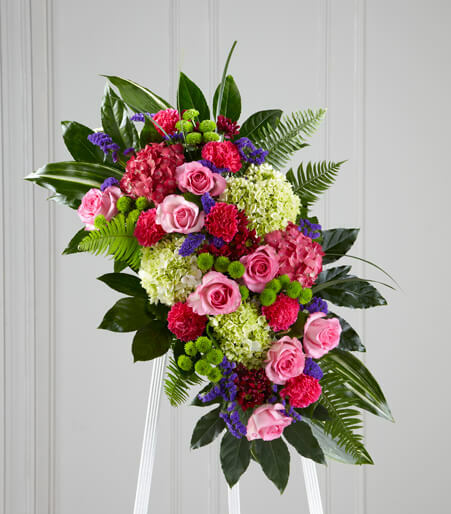 Traditional funeral flowers for women may be considered to be old-fashioned by some; however, they are appropriate for any woman’s funeral. 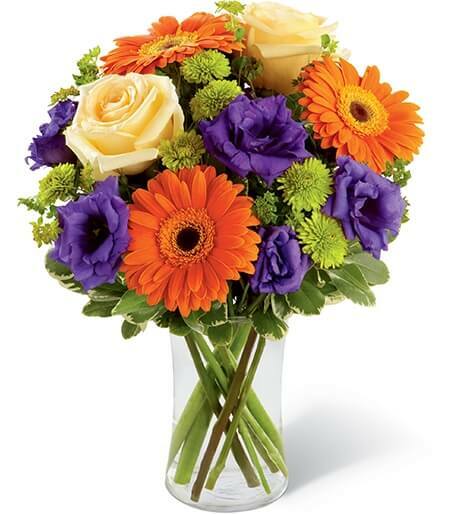 The arrangements just below are both excellent examples of traditional funeral flowers for women. 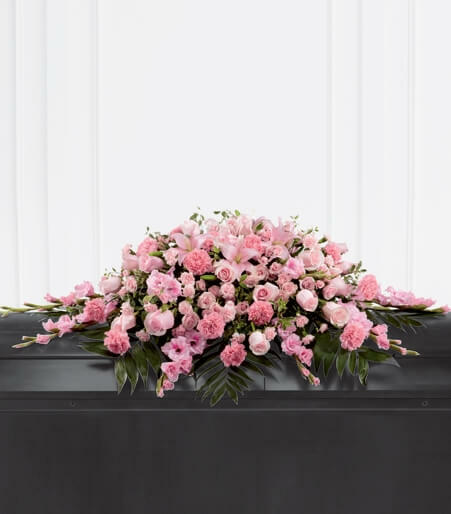 Contemporary funeral flowers are the perfect choice of funeral flowers for women who preferred modern styles, ideas, and designs. 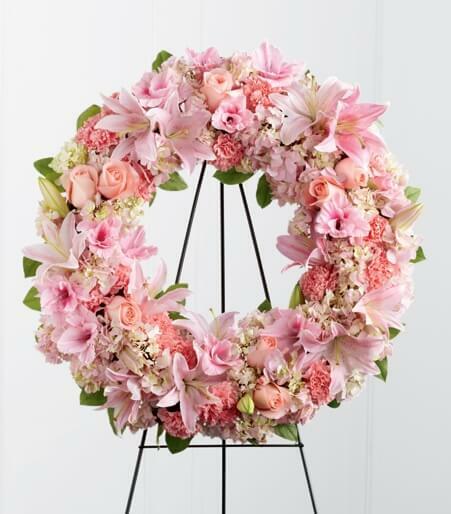 Contemporary funeral flowers for women are arranged with a stylish sensibility and can include flowers of any type or color. 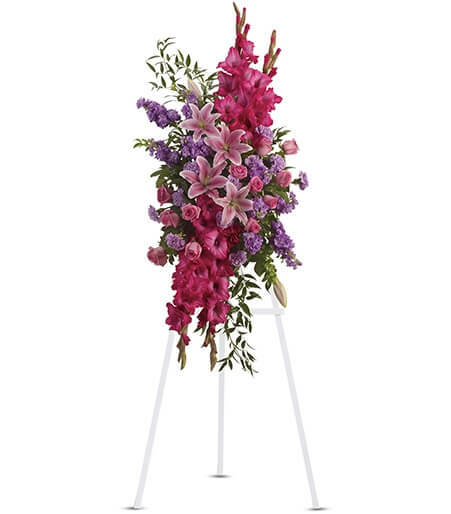 These flower arrangements are a type of temporary modern art. 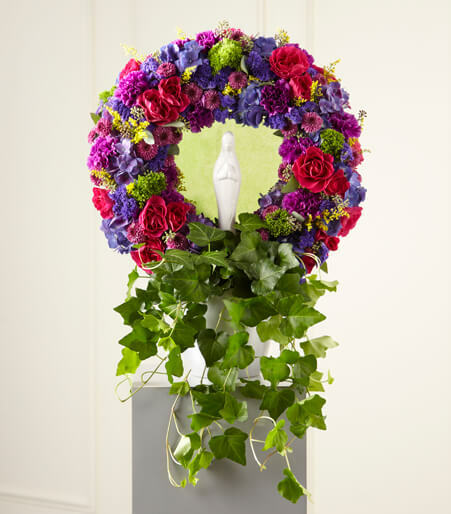 The two arrangements below are both great examples of contemporary funeral flowers for women. 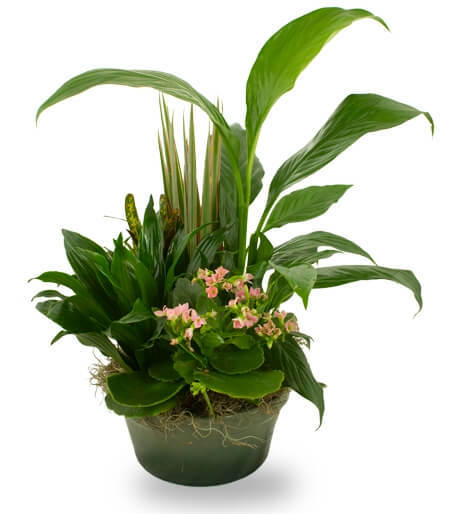 Funeral flower arrangements with a natural or garden styling might be the perfect choice of funeral flowers for women who enjoyed gardening or the outdoors. 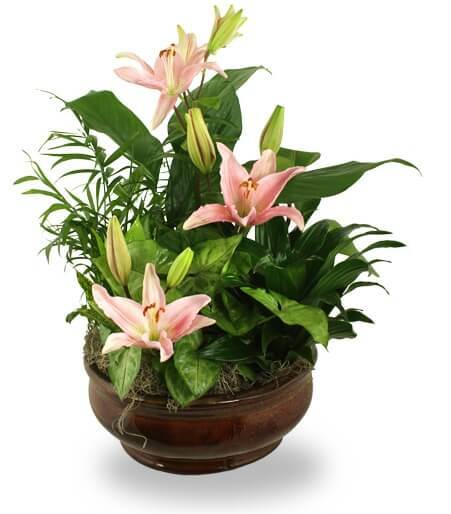 This type of funeral flowers for women covers a wide range of design styles and flowers ranging from loose, woodsy vases to formal arrangements with a picked-from-the-garden look. 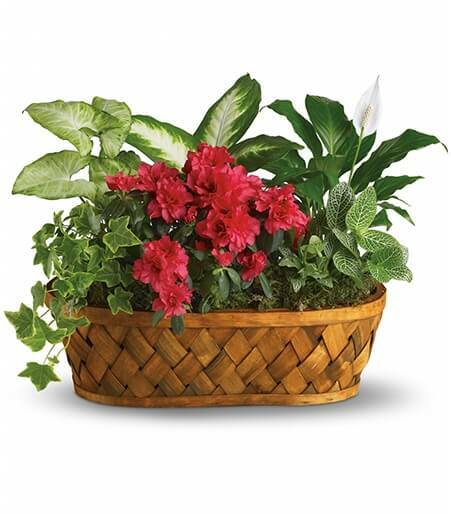 Arrangements of green or blooming plants or individual floor plants would also be good choices for the outdoorswoman or nature lover. 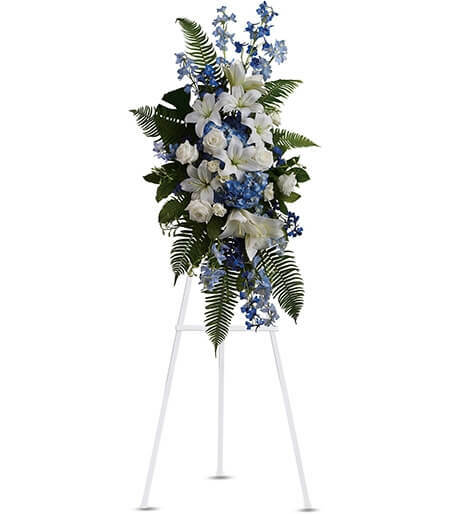 Standing sprays are another type of funeral flowers for women that are always appropriate for any woman’s visitation or funeral. 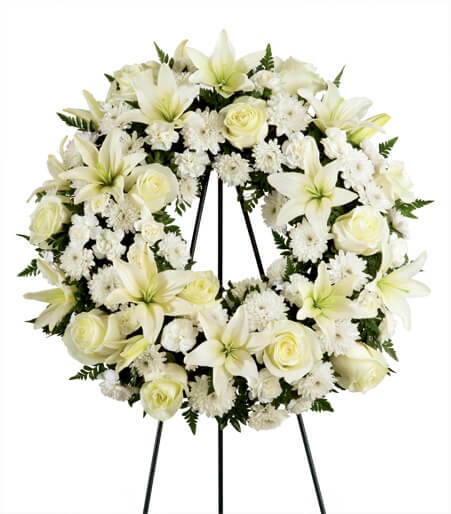 Any of the standing sprays below would make a beautiful floral tribute to honor the memory of any woman. 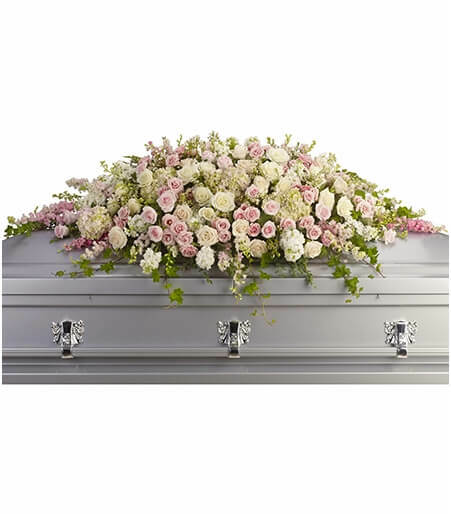 According to funeral flowers etiquette the casket spray is ordered by the immediate family. 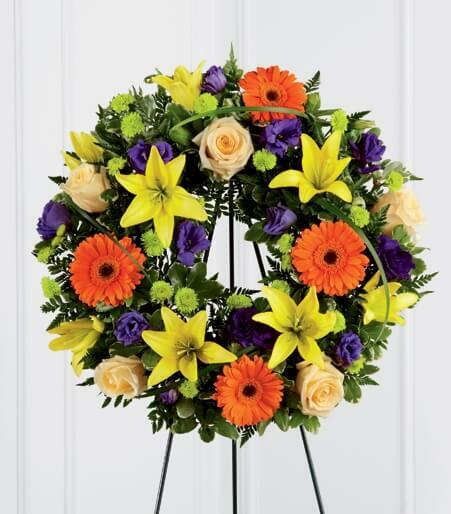 Immediate family members may have a good idea of what kind of flowers or colors the deceased enjoyed, making ordering funeral flowers for her a very simple choice. 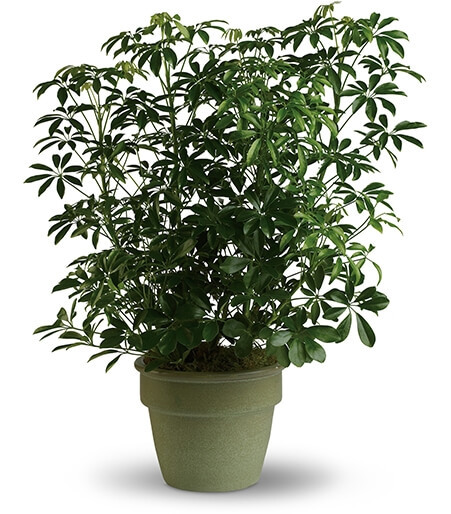 However, if her favorite color or colors are unknown, white, ivory, and pastel colors are always safe, conservative choices. 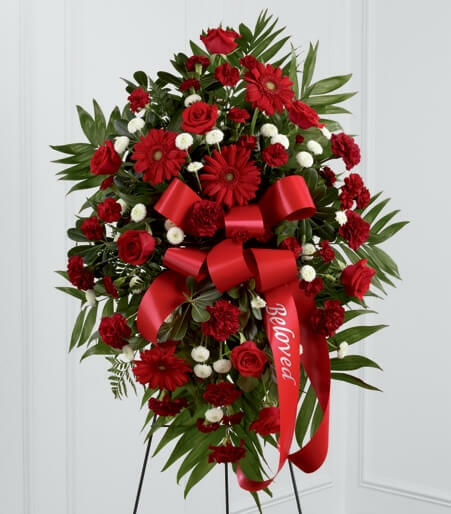 If her favorite flower types are unknown or unavailable, all flower types are certainly appropriate and will look beautiful on her casket. 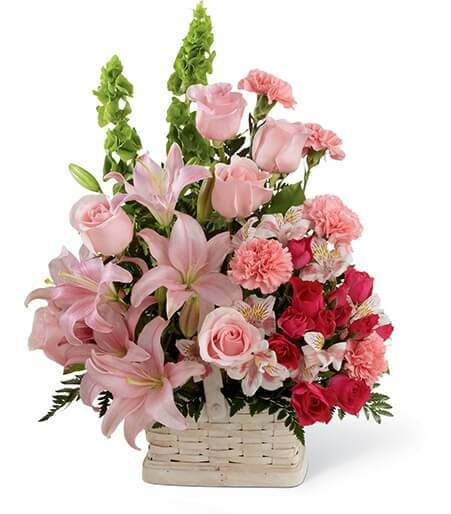 Clothing or casket colors can also be considered when ordering funeral flowers for women. 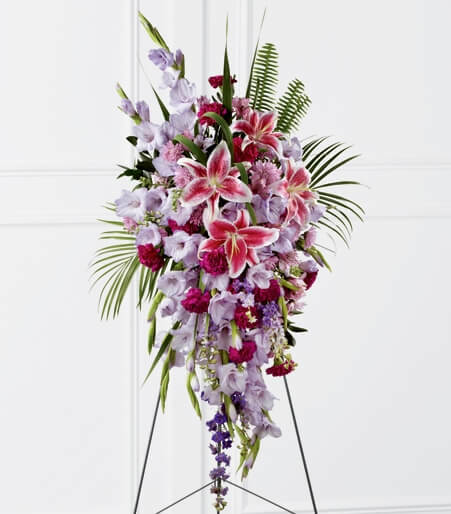 The important thing to remember is that you are sending funeral flowers as an expression of love and sympathy and to honor a loved one; any funeral flowers you choose will be both appropriate and meaningful.